I’m very fortunate that the International Specialised Skills Institute organizers of my speaking schedule suggested visiting The Song Room. Their work is both through in school educational programs, bringing artists into schools, and providing professional development for teachers. The reach tens of thousands of students each week and have a large amount of research to back up their efforts. They have also been active in developing a large collection of online resources and programs, ARTS:LIVE. 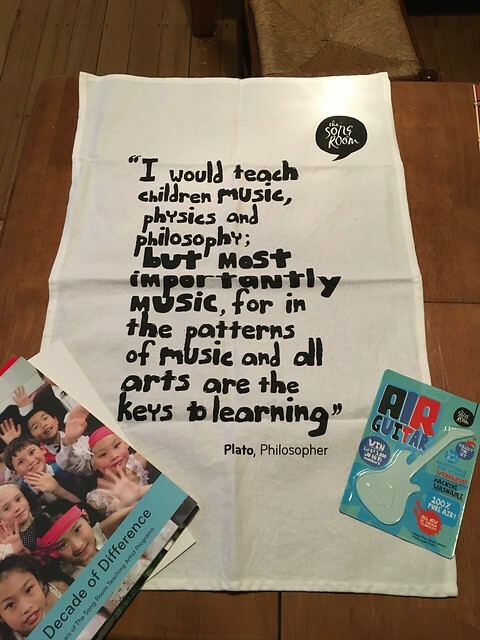 It’s rather impressive to see this amount of effort and support to promote arts programs in schools, especially knowing how such programs have been well gutted in the US. So in planning this I had to do a huge <gump> to figure out what I could tell them about storytelling! I took may materials I had organized for a What Makes Storytelling Work session with a few bits added on just for The Song Room. I was asked to share what I found exciting in technology and art. That’s a nice wide open opportunity! A bit flashback to when the internet felt like a bubble blowing party, to what was a simple optimistic view 10 years ago, and how that is somewhat blurred in the middle in 2017. My excitement still remains the interactive cool art things individuals have built that work in a web browser and that they are openly shared (my choices are just samples, hardly comprehensive). I tossed in my love of web serendipity, telling once again the Amazing Flower Story— which is almost exactly 10 years old. I also shared how we might be more effective at the human scale on the big internet, rather than hoping for large scale change, using as an example the reach out to my friend Antonio in Puerto Rico. Then I added on the value of doing daily creative habits and also a few other friends, colleagues who do and share creative ideas. Next was a talk through my various digital storytelling projects, from 50 Web Ways to Tell a Story, Five Card Flickr Stories, pechaflickr (and we did a round, they loved it). I really ran out of time before I could do much more to say about ds106 than It’s The Best thing Ever Put on the Web, and a quick description of the ds106 Assignment Bank. This was a riff on the time Dean Shareski asked me if there were DS106 assignments that would work for science or math. My answer was, “not off the shelf” but it just takes a little bit of imagination for a teacher to take one and recast it to their needs. I have examples there how the Four Icon / One Story assignment was recast by 3 elementary school teachers and how I did it myself for a session with 2nd grade students. My idea then was to create an annotated list of digital storytelling activities organized by some larger buckets of activity types. The examples were mostly form DS106, and some other Daily ____ sites, and a few from my other projects. So it’s an Alan Centric view. But it was a useful exercise to think about the DS106 assignments in a different grouping than by media type. After this we had an hour of discussion more about teaching and running programs online. I really appreciated the energy and interest of this group of maybe 15+, and even more after hearing they were getting ready for an event the next day. 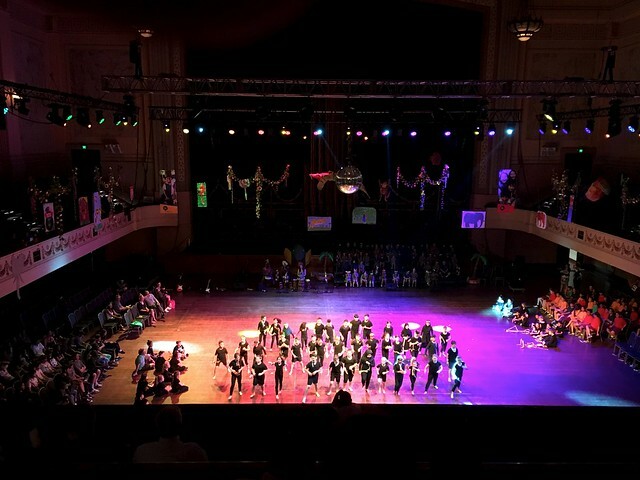 Some 400+ kids from 8 schools who participate in the Song Room were performing at Melbourne Town Hall. Since that is just around the corner from where I am staying, I had to go see it. It was, to be overly effusive, brilliant. I appreciate so much the interest from Caroline, Deborah, Kirsty for organizing this, and everyone else who so genuinely welcomed me. 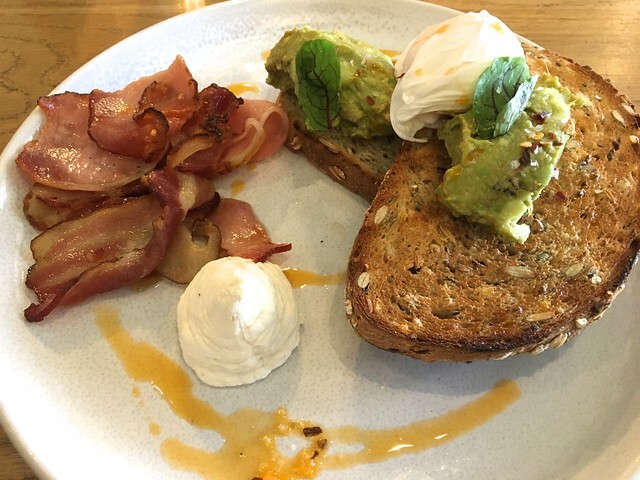 And then, to top off a great morning even more, I was treated to a fab lunch in the Prahan neighborhood… I had my first smashed avocado on toast. I have trended. And… I got a real Air Guitar, it;s all air– one of The SOng Room’s brilliant promotional campaigns — see http://playair.com.au.